← Question to all you more seasoned WordPressers…. My mother’s approach to cooking is “use what you’ve got and put it all together,” so oftentimes her cooking didn’t taste the same twice. It was frustrating, but sometimes her cooking would turn out amazing. In a wok (or something similar) with oil (I used coconut oil) cook onions and garlic until onions are translucent. Then add broccoli and drizzle with soy sauce and patis to your liking. (Yeah… it’s not an exact science with my mom’s method). Also add some water. 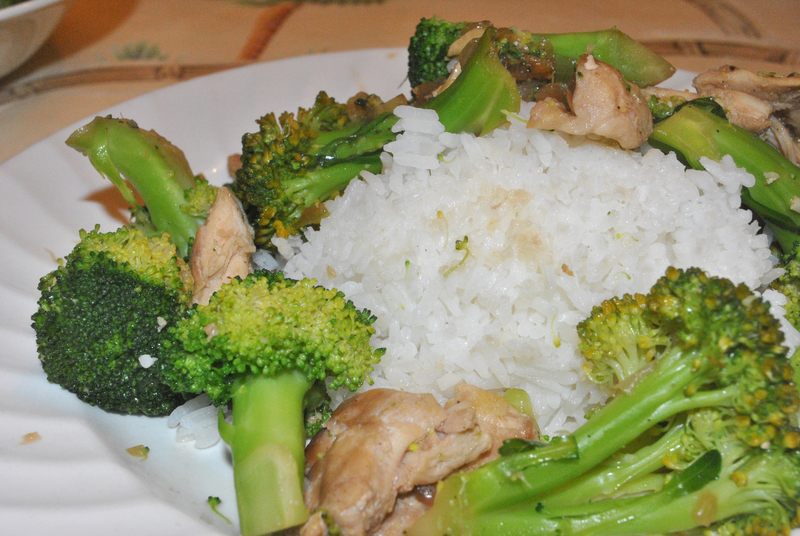 Cook broccoli for a minute or two then add the chicken. Serve over cooked jasmine rice. Or the rice of your choice. Or with wheat toast, which was the way my dad had it because he wasn’t feeling like having a super high reading on his blood sugar test thing. This entry was posted in Learning to Cook. Bookmark the permalink.